When the supposition first arose that there might be chronological problems in the early Middle Ages, too, the first cross-check was carried out with the help of the Julian-Gregorian calendar. It almost reached its goal, by a hairs breadth: when dealing with the autumnal equinox and 23rd September, the date on which the equinox falls today, it was found that there is no date for this equinox that has come down to us. This deficiency has now been rectified so that the argument can develop its full effect. “For more than 300 years, old Vindobona was deserted … Wolves were searching the ruins for prey” [Lackner]. This is not surprising, since Prof. Karl Brunner of the same department has for years insisted that the entire Danube valley between Linz and the Danube Bend was uninhabitable for three centuries [Illig 2002, 5], this particularly fertile region of all places. Similar cross-checks have been carried out for many places, towns, regions, and entire countries such as all 70,000 sq.km of Bavaria [Illig/Anwander], or for Hungary [Weissgerber] and always confirmed the thesis that the early Middle Ages were not only a dark age, but no part of the time line at all. This paper intends to present the updated calendric evidence. 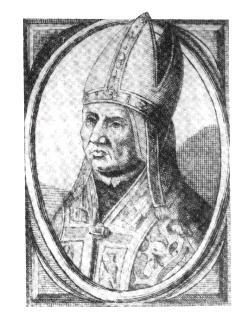 It shows that the connection made by the Pope between the Gregorian Calendar Reform and the Council of Nicaea cannot be upheld. The time elapsed between the two calendar reforms needs to be shortened, which means a large part of the rule of the Merovingians and Carolingians is to be omitted since there is no period for which there are more finds missing than this one. at the time of Caesar, the equinox was approx. those rounded-up three days later, i.e. on 24th March. “Unfortunately we are badly informed of the deliberations at the Council on this particular matter. The final Canon 20 decreed that prayers on Sundays and during the time of Pentecost should be said standing, but had nothing on the Easter controversy. What we have is a letter from the Council to the Church of Alexandria saying that the dispute over our Holy Pascha is ended (…) so that all Eastern brothers will from now on celebrate Easter as you do, they who formerly did not comply with the Romans, nor with you, nor with others of those who maintained the original Easter custom. This was followed by a circular letter from Constantine himself to the effect that at this meeting the question concerning the most Holy Day of Easter was discussed, and it was resolved by the unanimous judgment of all present that this feast ought to be kept by all and in every place on one and the same day” [ibid. 41, emphasis Pedersen]. We learn from this: the Council only demanded that the brothers in the East should also observe the common Easter date (but history tells us that until the 7th century Easter was celebrated at up to four different days of a year e.g. in 387 the Alexandrines celebrated it on 25th April, the Romans on 18th April, and the Gauls on 21st March [ibid. 44]; the Irish, who later had their own method of calculation, had not been Christianised then). Moreover, there is neither a method of calculation for this common Easter (not even the frequently reported rule on the first Sunday after the first full moon after the vernal equinox) nor a date for the relevant vernal equinox. The letter only shows that the Alexandrine Computus (Easter calculation), which is not specifically mentioned, was successful against Rome. This state of research has been presented repeatedly at least since 1880 [Frank 2010, 458]. The two possible calendar reforms mentioned by Dixon [2010, 36] as having taken place before Nicaea (225 and 284 or 303) appear to be speculative; nobody reports anything of days that might have been dropped then. Not one word regarding 21st March, not one word about a calendar reform, not a word about the experts who advised the Council of Nicaea according to Dixon . How could there have been? A migration of the vernal equinox by three days in 370 years can hardly be observed with the naked eye, since we know that the drift of the vernal equinox from the date of 21st March supposedly fixed at Nicaea was noticed in the Occident only around 1200 and that first thoughts of reform were formulated then; according to conventional calculation, this happened only after 900 years [Illig 1993, 53 f.; Frank 2002, 648]. Who, during the early 4th century, would have had enough understanding to be able to boldly conclude from an observation which might be just as faulty as an earlier one that the vernal equinox was migrating in the calendar? And even if there had been such an astronomical genius, why would he not have tried at once to stop further migration with the help of a calendar reform for he would have understood that in three centuries time, the date of the vernal equinox would have to be shifted again by three days? The whole riddle could be resolved if the date of the vernal equinox at the time of Caesar was known. But until recently this did not appear to be the case. In fact, a good century later Pliny the Elder (died AD 79) conveyed the date of 25th March. But in 990, Heriger of Lobbes spoke out against Pliny and other authors of antiquity: he knew that the antique Alexandrine scholars used as the spring equinox not 25th, but 21st March! [Borst 1995, 211; Illig 1999, 52] This is also suggested by Anatolius of Alexandria (or of Laodicea), who decided around AD 275, i.e. clearly before Nicaea, that not astronomical observation was decisive, but the date of 21st March [Harvey, 20]. Dixon mentions that Anatolius wanted to place the equinox correctly on 21st March as early as the middle of the 3rd century [Dixon, 36]. Hence, the 21st March must have been known then for some time, presumably since Caesars calendar reform. Indeed, the Greeks were upset when they heard the rumour that the equinox would be reduced to 25 March and became satisfied when they learned that it would be changed to 21 March [Ziggelaar, 231]. So far, scholars used 25th March as vernal equinox because it is closer to Plinys date of 24th March. This meant they had to ignore the days different and the true equinox on 21st March. They also had to ignore the fact that with Giovanni Battista Riccioli another father of the reform knew of the measurement by Eudoxos, ca. 368 BC, which had given the spring equinox on 25th March. Until the time of Caesar, it must have wandered to the 22nd, so at the time of the introduction of the Julian calendar reform it could never had been on 25th March [Frank 2005, 11]. The difference of one day between 22nd and 21st March lies still within the tolerance of the measurements in those days. A second possibility for control is via the autumnal equinox which since Gregory XIII falls on 23rd September. Caesars adoptive son, Augustus, enables this by his arrangement in the Field of Mars in Rome. This includes the cremation place (ustrinum), mausoleum, peace altar (ara pacis Augustae) and sundial (solarium or horologium). The sundial was equipped with an obelisk almost 30 metres high; it daily cast a shadow line whose end point drew a convex or concave path. Only during the two equinoxes, this end point would run across the dial along a perfectly straight line. The peace altar was so positioned that the end point ran directly to its entrance; possibly it even disappeared in it. This arrangement was therefore constructed for the equinoxes [Buchner, passim]. Third, it is known that Augustus considered his horoscope as eminent: according to Suetonius he was born just before sunrise on 23rd September [Suetonius, Augustus, part 5]. It suggests great and hardly believable things, which is why Augustus eventually made it public [ibid. part 94]. This might be in relation to the autumnal equinox and hence the conception at the winter solstice [Illig 1991b, 44]. Now, all these dates fit together, whereas the view generally accepted so far, in spite of the assertion of the Papal Bull and the time elapsed between Nicaea and Gregory XIII, becomes untenable: Augustus birthday on 23rd September, the autumnal equinox on the same day; sundial and peace altar as the apotheosis of the birthday (contrasted by ustrinum and mausoleum); consequently 21st March as the date of the astronomical vernal equinox, reported by an early medieval author who still knew that in Caesars time, there were two dates for it: 21st March as astronomical date, and 25th March as civil date, corresponding to 23rd September and 25th December a knowledge, that was also available to Clavius in 1582. 25th December does not originate only in Rome, but also in the cult of Mithras (birth of the Sun) and was taken over by the Christians as the birthday of the Lord. Until now, all historians and archaeo-astronomers only observed 25th March and 25th December. They had to do this to save the entire chronology before 1582. For only if the vernal equinox fell on 24th March in Caesars time (the discrepancy to the actual date of 25th March was being ignored) was it possible that the vernal equinox could have moved to 21st March 370 years later, could be fixed at the Council of Nicaea, and reinstated by the Pope in 1582! But if 21st March already applied under Caesar, then because of the 10 correctly eliminated days there can only be 10 x 128,2 = 1.282 ± 64 years between Caesar and Gregory XIII. That is, the present time line is too long by 345 ± 64 years, a time span between 282 and 409 years. Thus breaks the time frame which links us to antiquity; a familiar epoch turns out to have been invented and inserted later. Moreover, any chronology of antiquity loses its credibility, considering that such a serious error has been overlooked for so long, in fact, since the Middle Ages. It is not surprising that no ancient historian, no mediaevalist, no archaeo-astronomer has ever encountered the unambiguous Columella text passage. Pope Gregory XIII relied upon ecclesiastical tradition when he named the Council of Nicaea as reference point. This reference is mentioned by Ambrosius in the second half of the 4th century, then decisively by Dionysius Exiguus who introduced it in AD 525 in his Liber de paschale [Frank 2002, 652]. It cannot be dealt with here whether this work was actually written in the 6th century. In 1991 the current author published the thesis that the Christian timeline is too long [Illig 1991a]. In 1994 , he quantified this period, not with astronomical means, but with archaeological remains: the 297 years between August 614 and September 911 are an invention of the time after the eastern emperor Constantine VII and Pope Sylvester II and the western emperor Otto III, and need to be deleted without substitution. 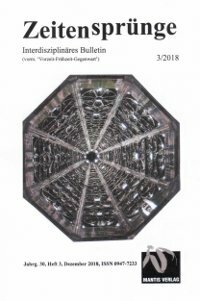 These thoughts that were first developed in 1990 meant that in the year 2000, both the start of the third millennium and the coronation of Charlemagne 1200 years earlier the only generally known date from the early Middle Ages had to be questioned. Accordingly this thesis and its author have been subject to much hostile criticism. Now there is confirmation. Even the assumed period of 297 years has been confirmed again and again. By taking out this period of time which is supported by comparison of written sources and archaeological finds all through the old world [Illig 1996] the time elapsed between Caesar and Gregory XIII is corrected. Particular thanks are due to Prof. W.X. Frank, Solnhofen, a great specialist for the problems of the Julian and Gregorian calendar reforms, who has taken the trouble of actually ferreting out the undiscoverable, to overcome the last hairs breadth all the way to utmost certainty, thereby at last clearing the way for the correction of our chronology. Thanks are also due to PD J. Beaufort, Bielefeld, and A. Otte, Oerlinghausen, who read, corrected and improved this text. Special thanks due to B. Liesching, Überlingen, for the translation. Borst, A., 1995, Das Buch der Naturgeschichte. Plinius und seine Leser im Zeitalter des Pergaments; Winter, Heidelberg, 2nd ed. Buchner, E., 1982, Die Sonnenuhr des Augustus, Philipp von Zabern, Mainz. Corpus Inscriptionum Latinarum, geführt von der Berlin-Brandenburgischen Akademie der Wissenschaften (available online). Coyne S.J., G.V., Hoskin, M.A., Pedersen, O., eds., 1983, Gregorian Reform of the Calendar. Proceedings of the Vatican Conference to commemorate its 400th Anniversary 1582 – 1982; Specola Vaticana, Città del Vaticano. Dixon, L., 2010, ‘Why Change a Calendar? Which year did Bede think he lived in?’ in SIS Chronology and Catastrophism Review 2010, pp. 35-39. Frank, W.X., 2002, ‘Welche Gründe gab es für die Autoren der Gregorianischen Kalenderreform 1582, die Frühlingsäquinoktie auf den 21. März zurückzuholen?’ in Zeitensprünge, Vol. 14:4, pp. 646-655. Frank, W.X., 2005, ‘21. März – Datum der Frühlingsäquinoktie zu Zeiten Caesars, des 1. Nicaea-Konzils und der Gregorianischen Kalenderreform 1582’; in Zeitensprünge, Vol. 17:1, pp. 4-14. Frank, W.X., 2010, ‘Bemerkungen zur Gregorianischen Kalenderrestitution und zu den Jahreseckpunkten unter Augustus’; in Zeitensprünge 22:2, pp. 457-464. Harvey, O.L., 1976, Time Shaper, Day Counter. Dionysius and Scaliger; published by the author, Silver Spring, Maryland. Illig, H., 1991a, ‘Die christliche Zeitrechnung ist zu lang’; in Vorzeit-Frühzeit-Gegenwart, Vol. 3:1, pp. 4-20. 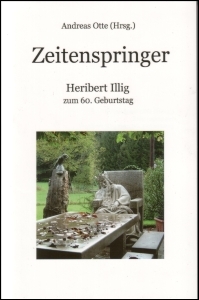 Illig, H., 1991b, ‘Augustus auf dem Prüfstand’; in Vorzeit-Frühzeit-Gegenwart, Vol. 3:2, pp. 43-49. Illig, H., 1993, ‘Kalender und Astronomie. Marginalien zu antiker und mittelalterlicher Chronologie’; in Vorzeit- Frühzeit-Gegenwart, Vol. 5:3, pp. 46-68. Illig, H., 1994, Hat Karl der Große je gelebt? Bauten, Funde und Schriften im Widerspruch. Mantis, Gräfelfing. Illig, H., 1996, Das erfundene Mittelalter. Die größte Zeitfälschung der Geschichte. Econ, Düsseldorf. Illig, H., 1999, Wer hat an der Uhr gedreht? Wie 300 Jahre Geschichte erfunden wurden; Econ, München. Illig, H., Anwander, G., 2002, Bayern und die Phantomzeit, Mantis, Gräfelfing. Inter gravissimas (Latin text and English translation of the Papal bulla available online). Meeus, J., Savoie, D., 1992, ‘The history of the tropical year’; in The Journal of the British Astronomical Association, Vol. 102:1, pp. 40-42 (available online). Pauly = Paulys Realencyclopädie der classischen Altertumswissenschaft / Der große Pauly, eds. A. Pauly, G. Wissowa et al., Druckenmüller, Stuttgart, 1890-1980. Pedersen, O., 1983, ‘The ecclesiastical Calendar and the Life of the Church’; in Coyne, Hoskin, Pedersen, eds., 1983, 17-74. Schütz, M., 1990, ‘Zur Sonnenuhr des Augustus auf dem Marsfeld. Eine Auseinandersetzung mit E. Buchners Rekonstruktion und seiner Deutung der Ausgrabungsergebnisse, aus der Sicht eines Physikers’; in Gymnasium, pp. 432-457. Suetonius, Lives of Twelve Caesars. The New Encyclopaedia Britannica, 1985, 15th ed., The New Encyclopaedia Britannica Inc., Chicago · London. Weissgerber, K., 2003, Ungarns wirkliche Frühgeschichte. Árpád eroberte schon 600 das Karpatenbecken, Mantis, Gräfelfing. Ziggelaar, A., 1983, ‘The Papal Bull of 1582 Promulgating a Reform of the Calendar’; in Coyne, Hoskin, Pedersen, eds., 1983, 201-239.